I recently had the pleasure of attending Mr. Harald Link’s (Chairman of the B. Grimm Group) keynotes speech on “How to Do Sustainable Business in Thailand” during the Annual Ordinary General Meeting of the German Thai Chamber of Commerce in Bangkok, on March 13, 2014. Mr. Link’s view on cross-cultural leadership effectiveness and particularly the importance of compassion and happiness for doing business successfully truly impressed me. I believe our world needs more such leaders, and I feel honored that Harald Link gave me permission to publish his his notes for his speech on this blog. Enjoy the read, spread the word, and do better business with compassion and happiness! It is a great pleasure and honor to be speaking to you this evening representing B. Grimm, one of the founding members of the German Thai Chamber of Commerce. Someone said that the two most important days in your life are the day you were born and the day your find out why. John Lennon’s mother apparently said to him that the secret to life lies in happiness. So when he was asked in school to write about what he wanted to be, he wrote “happy”. The Dalai Lama is known for saying that “If you want other people to be happy, practice compassion. If you want to be happy, practice compassion”. 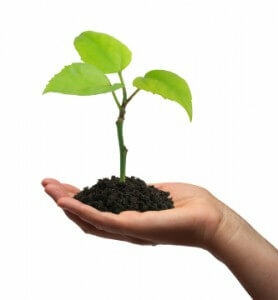 So does happiness and compassion play a role in the longevity of a company? What about longevity of companies around the world? There seem to be about 40 companies from the age of 700 to about 1,300 years old. The very oldest dating from 578 just disappeared over too much debt. Another 105 companies date back 614 to 714 years. Is there a pattern to be noticed in that age group? In an analysis of the oldest just collapsed business it was said that the reason for their longevity was a stable business sector, i.e. building of temples and keeping it in the family with only a capable family member to be selected for succession. The reason for their downfall was property speculation with debt. The company lasted for 40 generations. In Japan, there are over 20,000 companies over 100 years old. They are called Shinise in Japanese. Prof. Makoto Kanda, who has been studying them for decades, says they survive because they are small, mainly family run and focus on a central belief that is not tied solely to making profit. Most important factors for survival are emphasis on innovation , reinvention, and separate what you do, from how you do it (see also “Built to Last” by Jim Collins), unity and trust within the family (if it is a family company) or primo genitur or one successor. Yale lecturer Richard Foster, studying firms over 100 years, claims they have continuous principles, and ideas plus long term community relations. And there is no mentioning of happiness in the company or compassion! (6) Have advisors or staff with connection to help you in trouble and establish relationships. (7) Try to enjoy the journey, it [Thailand] is one of the more enjoyable countries in the world. 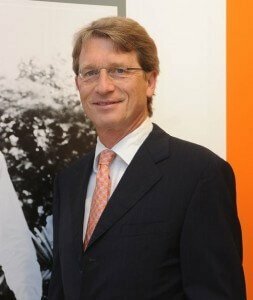 Born in Germany, Mr. Harald Link has been a Managing Partner of B. Grimm & Co. ROP since 1987. He has been the Chairman of B. Grimm Group of Companies since 1987, and serves as Chairman, Vice Chairman, and Director of various corporations in Thailand. Mr. Link majored in Finance & Accounting, and holds an MBA Degree from St. Gallen University, Switzerland.